An animated music video that I've been working on for quite awhile is just about to be officially released and it features lots of drunken animals. 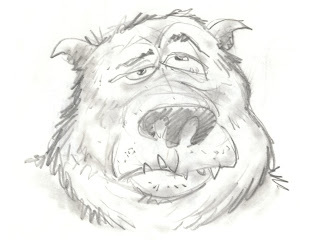 Here's a drawing of a bear that is used briefly in a shot. I'm particularly fond of this bear.